Painting is one of the quickest, easiest and cheapest ways to transform a room. 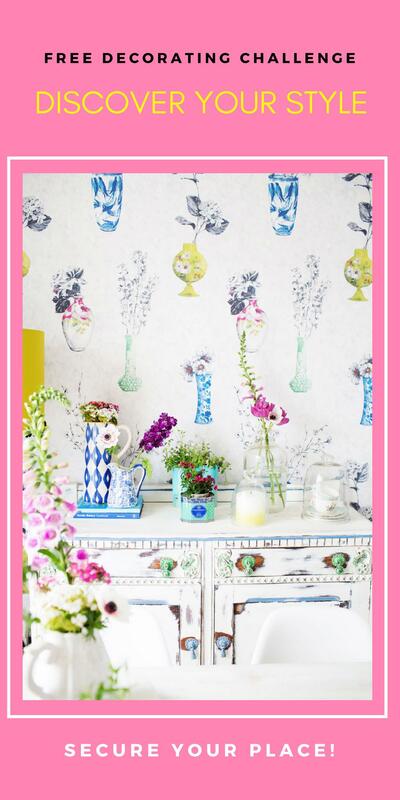 It has the power of making spaces feeling bigger, brighter, fresher, cosier, happier… and the list goes on and on! You just need to decide how you want your room to feel and the paint will create a solid base for it. But with such a wide choice of colours and finishes, selecting the perfect one can get a bit overwhelming! 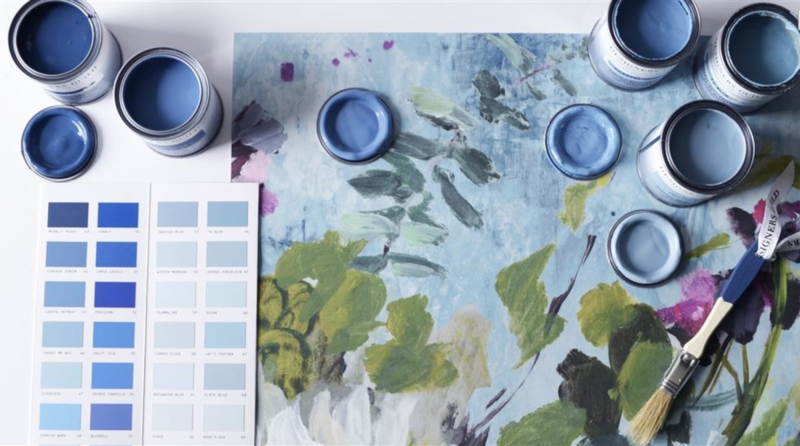 So… how do you choose the best paint for your space? Luckily, these days we can find very hard wearing, washable Matt finishes. They are a bit more expensive than the traditional ones, but totally worth it! More than once I’ve managed to wipe clean our little ones “artwork” from our Matt painted walls! My personal choice for walls and ceilings is Matt emulsion because matt surfaces don’t reflect much light, making them great for hiding imperfections and making all colours look as similar as they can, even in different light condition. It’s also a water-based paint, which means it dries out quickly and the smell is not as strong as an oil-based paint like the Eggshell for example. I particularly love the Endurance Durable Matt from Dulux… it’s super easy to clean! For woodwork, I prefer the Eggshell finish because it’s very hard wearing without being too glossy and it’s super easy to wipe clean any dirt! Plus, it gives a beautiful classic finish. 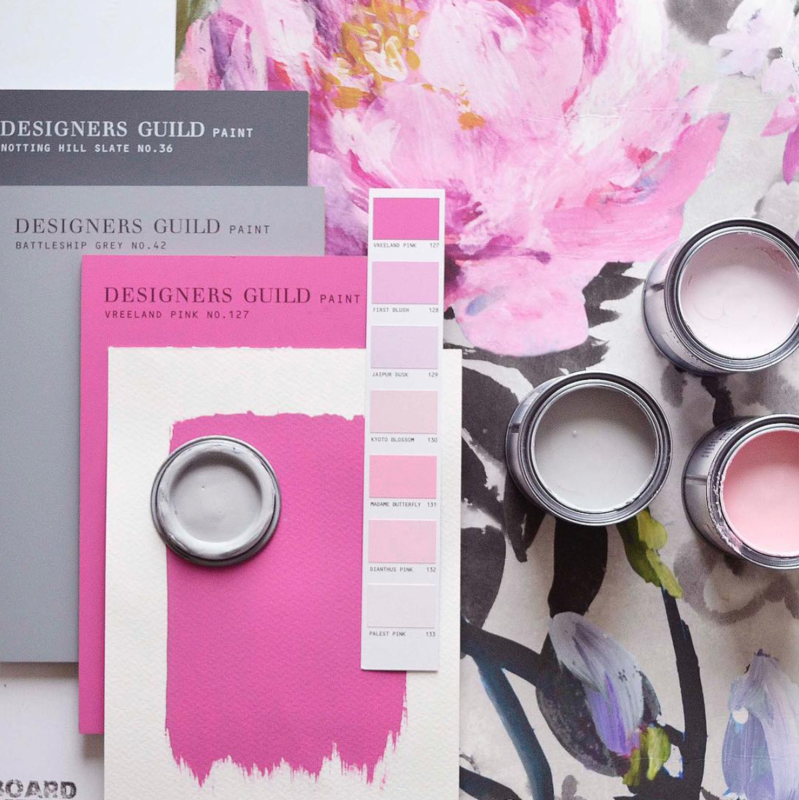 It can be very tempting to choose your paint colour based on the latest design trends, but before you start painting everywhere with that gorgeous Millennial Pink, make sure you really LOVE it and it also works great for the room. * Define what’s the mood you are going for: How do you want your room to feel? E.g. Cosy? Bright? Airy? Elegant? Fun? Colours are a brilliant way to set the mood for your home. Deeper colours can make a room feel cosier. 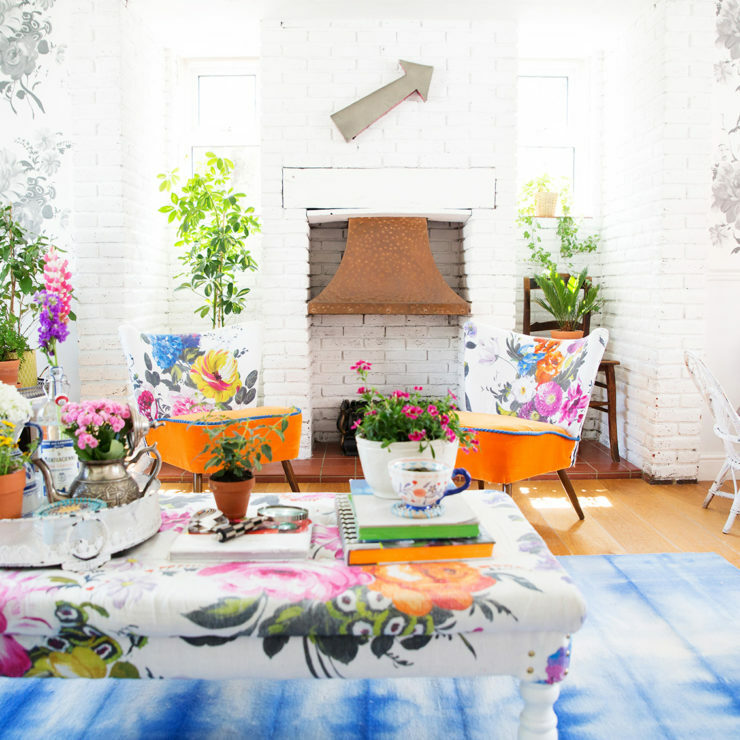 Brighter colours can make it feel more airy and fun. If you are designing a bedroom for example and you want it to feel relaxing and calming… you could go for nature-based colours, like pale blues and greens. * Access the room: Take a good look at the space and identify what needs to be addressed… Does it have enough natural light? Does it need to feel bigger? What needs to be addressed in order to support how you want the mood for this room to be? Our living room, for example… I really wanted it to feel bigger and brighter, but the huge red brick fireplace was making it smaller and darker. So the first thing I did when we moved in, was to paint it white… and it instantly lifted up the mood of the room! 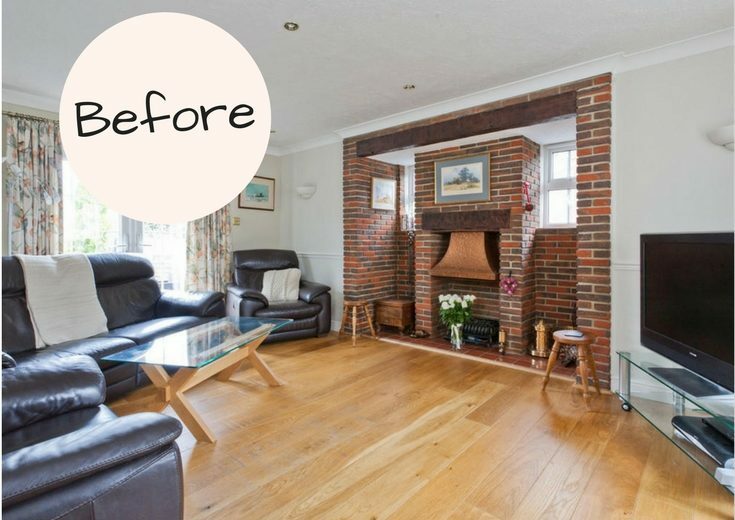 (Image: Move Revolution Estate Agents) – This is how our living room looked before we moved in! (Image: ajcreative.style from Alexandra Joseph Photography) – And this is after! Tah-dah! Can you see how much brighter it looks after painting the fireplace white?! Love it! * Think about your flooring: It’s super important that you take into consideration your floor colour, as it is fundamental that it works well with the walls and the woodwork too. * Are you using wallpaper too? If so, you should choose your paint colour, based on your wallpaper choice, or at least make sure they work very well together. 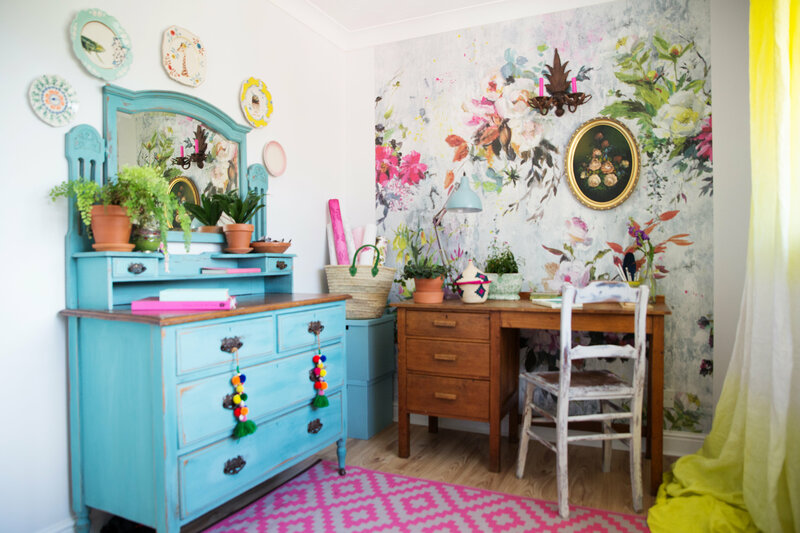 I always try to pick a light shade from the wallpaper as a starting point and then go at least two shades lighter on the walls, because I know they will complement each other beautifully and the lighter walls will make the room feeling airy and bright, just the way I love! 3. Test it and test it again! Once you’ve chosen your finish and colour, you MUST test it out! Paint the card paper and stick it to the wall with some masking tape, then observe how it looks with the different lights through the day (and artificial lights at night time too). Very often a colour from a colour card will look completely different on your wall because of the light… so testing it before you buy it is essential! Hope you found this post helpful and you are now feeling more confident about choosing the perfect paint for your project! First things first… Turn the music on… DIY is a form of therapy, so make the most of it and have fun! 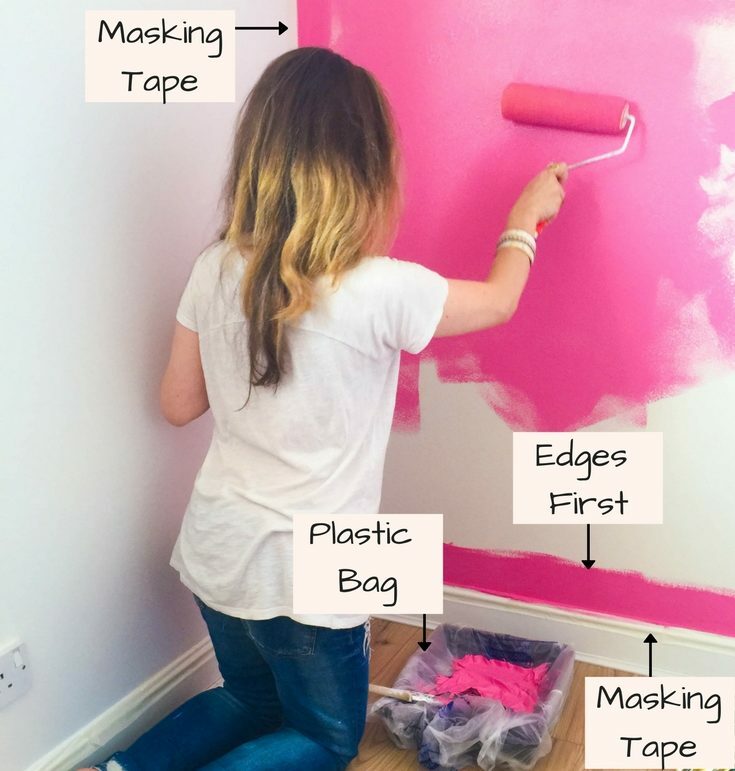 Always prep your wall before you start painting… by that I mean, give it a little clean, fill any unwanted holes with Polyfilla and then sand it down, change the lining paper if needed… always make sure your walls are nice and smooth! Prime the wall if needed. (If you are changing from dark to a light colour, if you are painting a bare wood surface or if the previous paint was glossy, for example). Then use masking tape to protect corners and mouldings. Make sure you place the tape as close as you can to the edge and press it tight! *Use a dustcloth if you would like to protect the floor and the furniture. Keep a pack of baby wipes near you… they are great for cleaning up little splashes or any mistakes. Wrap your painting tray with a plastic bag… this way you don’t need to wash it after the job is done… you can just remove the bag and the tray will be ready to be reused! Start with the edges, painting all the corner with a paintbrush. Then use a roller for the largest parts of the wall. It’s super fast and easy to use. Once the paint is dry, you can start the second coat. Wrap you roller very tightly in a plastic bag while you are waiting for the paint between coats to dry. It will keep the roller moist and ready to use again. Only peel off the masking tape once the paint is completely dry. Ok… that’s it for now! And if you would like to know more about the design process check it out my FREE Interactive Project Planner Checklist. It will give you an overview of the steps you should take when you are designing your home! Plus…. links to free guides and design tips, including how to make the most of your budget, budget tracker spreadsheet and 10 easy ways to save money and create a home that is gorgeous and original! You can find it HERE! If you already signed up to my free library of resources and goodies (The Berry Joy Bundle), you can find the checklist there too! 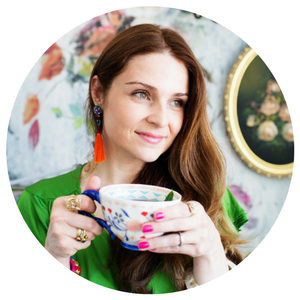 « BEHIND THE SCENES OF OUR HOME TOUR ON DESIGN*SPONGE!! !